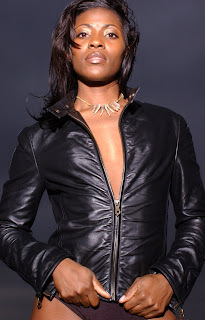 (NEW YORK, NY - RHONA FOX, INC.) Sultry songstress Jadine will formally make her splash into the soca scene when she premieres the video for her hit single "Don't Call My Phone" to media and fans in New York City. The exclusive video launch will be held on Tuesday, December 18th at Aura in Manhattan, and starts at 6pm.The video was directed by Rhona Fox and shot on location in Manhattan, with an all-star cast that include Bajan actor Lamman Rucker of the recent box office hit Why Did I Get Married?, former Miss Grenada Kelly-Ann Ross, HOT97's soca DJ D-Life, and soca star Ragga. Many of them and other celebs from the soca world will be on hand to celebrate with Jadine on Tuesday.Submit your name to RSVP@rhonafox.com to be added to our guest list and for complimentary entry. Video will be making its web premeir on http://www.dancehallsoca.tv/ a week later. Look out for time and date!